Some days, I feel unstoppable. I make lists, I check them twice, and I accomplish so many tasks I want to call people up and brag about it. On those days, I’ll find any excuse not to start something. I can go from the left image to the right image in a few seconds flat. Image courtesy of this famous (and very funny) Hyperbole and a Half piece. Suddenly, all the recipes on my Pinterest feed are extra interesting, and I just have to check on my favorite Instagrammers to see if they’ve posted anything new. Plus, a nap sounds great. Even the best of us are sometimes guilty of procrastination. But why do we procrastinate, and more importantly, how can we avoid procrastination? Before we dive into the details, for a quick, easy-to-understand look at the science behind procrastination, check this video out. It’s under three minutes long and gives a nice overview of the subject, including some helpful tips. Now, the first question: Why do we procrastinate? Are procrastinators made, or are they born? On the one hand, some chalk procrastination up to a response from an authoritarian parenting style. So, if your parents were overly strict, you might not have been able to develop good self-regulation skills on your own. Turns out, maybe you really can blame Mom and Dad. Not only that, but procrastination can even be a form of rebellion at a younger age, and it’s unfortunately an easy habit to carry into adulthood. On the flipside, our tendency to procrastinate could be partly genetic. Studies show that procrastination is heritable, and is linked with the frontal systems of our brain that regulate our so-called “executive functioning,” which includes things like self-control, planning, and problem solving. The research shows that procrastinators may have “subtle executive dysfunction,” or a lessened ability to regulate themselves and plan well. However, while there is a link, it’s not completely conclusive. The takeaway? The causes of procrastination are debated, and it’s thought to be a combination of both how we were raised, and our genetics. That being said, it’s still definitely a habit—and the good news is, habits can be broken. Procrastination isn’t about underestimating the time it takes to finish something. We know, roughly, how long a given task will take. But, this doesn’t stop us from trying to squeeze it into a time frame far too small—like when you crammed all night for your midterm the next day, trying to jam an entire term’s worth of information into your head overnight. “Telling someone who procrastinates to buy a weekly planner is like telling someone with chronic depression to just cheer up,” says Joseph Ferrari, Ph.D., who is an associate professor of psychology at De Paul University in Chicago, and has studied procrastination extensively. Naps are great (just check out our recent article on sleep)—but not when they’re being used as a means of procrastination! When we procrastinate, we engage in a mental tug-of-war. We know we should do the thing, and yet we don’t do the thing. Ultimately, it comes down to an issue of habitually failing to self-regulate well. But why do we have such a hard time acting on our own best intentions? Why can’t we put our noses to the proverbial grindstone and kick ourselves into high gear? If it’s not an issue of time management, but rather an issue of an inability to self-regulate effectively, what’s getting in our way? We’d rather do something easy and enjoyable now. Seems frustratingly simple, doesn’t it? Basically, when we have poor self-regulation, we overvalue the reward from doing something that feels good in the present. So, we put off the unpleasant thing until later, because the pleasurable thing (like checking social media sites, watching Netflix, or taking a nap) has more value early on. This isn’t just your conscious desire to catch up with your favorite TV show, either; there’s a biological component to it, too. So, when we’re thinking about a big deadline or finishing a tough project, we’re likely feeling anxious, stressed, or worried—and so we automatically seek out mood-boosting distractions to make us feel better. See Also: What Are the Best Snacks to Keep You Focused at Work? Even those of us who aren’t chronic procrastinators (more on that later) will do it occasionally. We check Facebook, scroll through Pinterest, take that “quick nap”—anything to put off the task we’re dreading. But, if we get it done, it doesn’t really matter in the end, right? Not only does it increase stress, but it can cause health problems, such as the flu or bouts of insomnia. 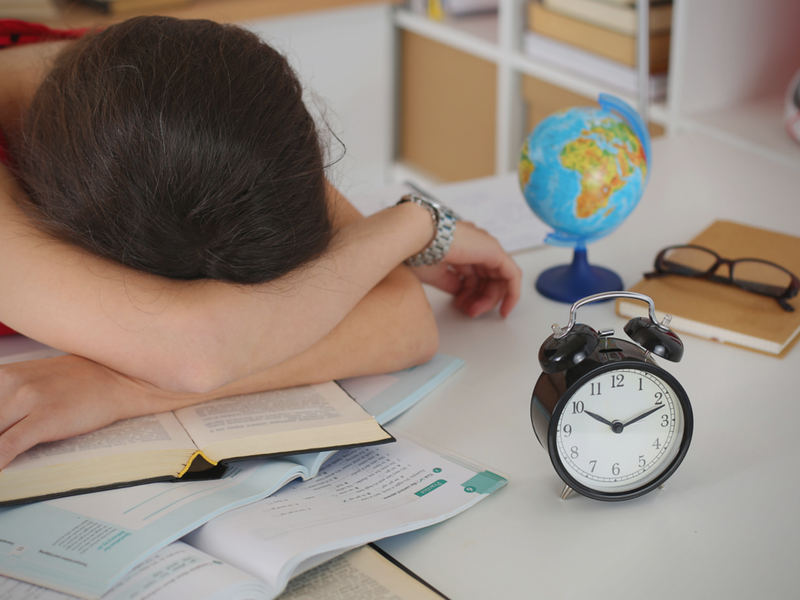 In a study of college students throughout an academic term, while procrastinators expressed less stress early on, they were later hit with stress, illness, and lower grades. So, while you may ultimately get everything done, the quality of your work might suffer, and your health probably will, too. Procrastination comes in several fun, “I’ll do it later” flavors. Which one rings true for you? Thrill-seekers: You know your college roommate, who was convinced he wrote better essays the night before they were due, when the pressure was really on? (Or, maybe that guy was actually you.) The thrill-seeking procrastinator type puts off an activity until the last minute, because they feel more productive while working under a time crunch. Decision-avoiders: Have you ever avoided making a big decision because you were worried about the outcome? Maybe you put off choosing your business location because you were afraid of picking the wrong one. Decision-avoiders will go to great lengths to put off having to make a tough call; they’d rather put off the act of deciding than potentially make a bad choice. Chronic procrastinators: For some people, procrastination is a lifestyle. Everything from bills to work tasks to laundry gets put off until the last possible moment. Chronic procrastinators often have a deep fear of failure, and would rather be able to blame their procrastination, rather than a lack of ability. Okay, so we’ve learned all about why we procrastinate, how it can negatively impact us, and the different types of procrastinators. But, what do we do about it? Follow this step-by-step guide and you’ll be on your way to breaking your procrastination habit. Okay, so we can’t really guarantee you’ll never procrastinate again, but hey—here’s hoping, right? Set the right tone for your day (beautiful scenery optional, but it can’t hurt). Starting your day off on the right note is key when it comes to avoiding procrastination later on. Set your alarm early enough so that you can be a little relaxed with your morning routine. When you wake up, have a glass of water. Then, make your bed. Once you’re a little more awake, take some time to focus your mind. I like to meditate for ten minutes, right after I get out of bed. It sets the tone for the day and helps me be more mindful. I’m a big fan of the Headspace app, which lets you try out their 10 day free intro course before you become a subscriber (the interface of the app is great, too). Make time for your favorite morning workout before you start your day. Not a fan of exercising in the morning? That’s okay—I’m really not either. I prefer a post-workday workout. So, I add in a brief yoga practice before I start my day. Along with meditation, it really helps set the tone. I’ve used YogaGlo for years and am a huge fan of the site. It’s like Netflix for yoga classes, and runs at $18/month, so it’s more affordable than any studio. 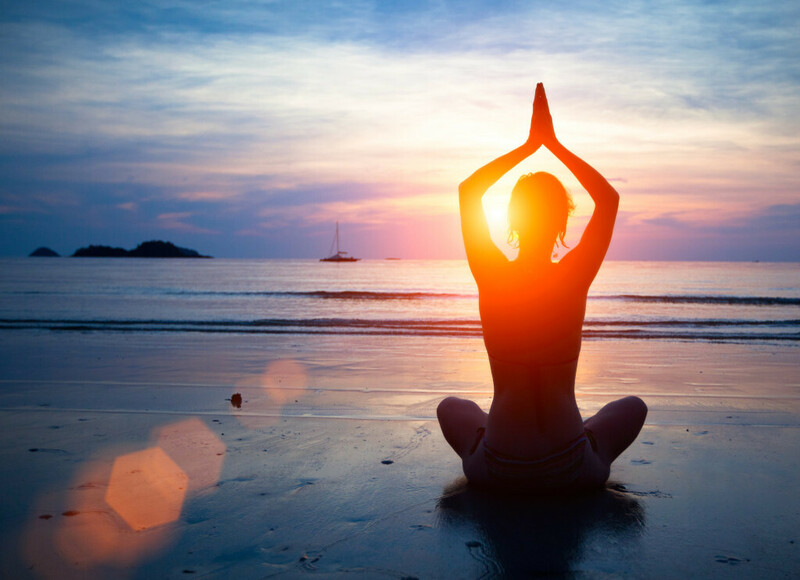 Alternately, if you’re not into yoga (or are more of a morning-exerciser than I am), you could go for a run, hit the gym, or even take a quick walk around the neighborhood. Several of us here at Palo Alto Software recommend the Bullet Journal method. Now that you’re awake, you’ve gotten moving a bit, and made your way into work or your home office, it’s time to get organized. You’ve got to plot out all your to-dos, including the subcomponents of these tasks, in an organized manner that works for you. Here at Palo Alto Software, we’re a mixed bunch. I’m a big fan of simple, paper-and-pen lists, our COO Noah Parsons uses Apple’s Reminder App to keep a list of his to-dos, and our technical project manager Anders Stadum likes Moleskine notebooks for list-making, using the Bullet Journal method. They both also recommend the “Getting Things Done” methodology, as pioneered by productivity consultant David Allen. If you’re the type of person who’d like an app for that, check out Todoist, Wunderlist, or Evernote. That big, insurmountable project you’re dreading? It will look a lot less intimidating when you break it down. Once you’ve outlined your list of to-dos, break them into smaller steps. This can help you trick yourself into completing a huge task—after all, each smaller step is manageable enough, so you can work through them without feeling overwhelmed. I work from home, and at least once a week, I take my work to a nice, comfy coffee shop. But the main reason is that it’s a lot harder to rationalize internet surfing, Netflix breaks, and a quick nap at your local coffee house. You might get some funny looks for the latter. at the very least. The reality is, sometimes forcing yourself into a situation where you have to complete a task is the best way to beat procrastination. When you eliminate the ability to distract yourself, you’re likely to actually get some good work done. 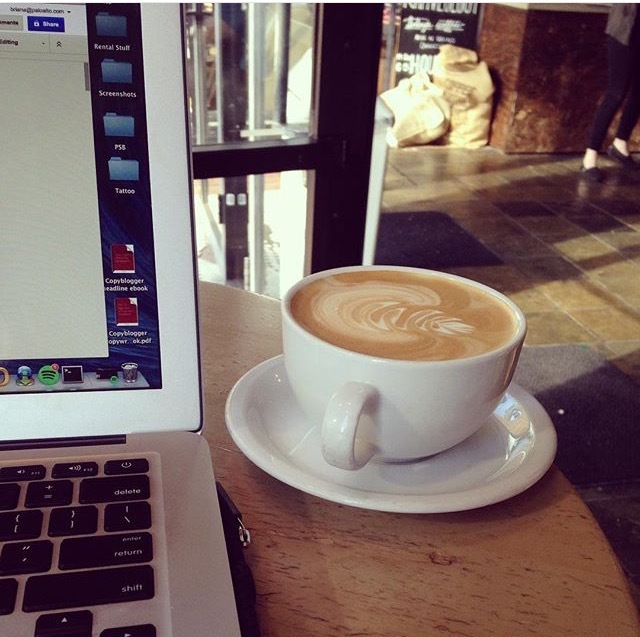 My favorite place to work: Kahveology, a coffee shop in my neighborhood. When a simple change of scenery isn’t enough, you can alway turn to electronic solutions. The SelfControl app is perfect for eliminating distracting sites; simply install and set a time limit, like the remainder of your workday, and blacklist whichever distracting sites you’re prone to checking (I’m looking at you, Pinterest and Youtube). The best (or worst) part? You can’t undo it. You just can’t. You’ve got to wait it out. There are plenty of other apps to help improve your focus, so it’s something to look into, though many of them include a paid membership. One of my very favorite productivity tools is the Tomato Timer, based on the famous Pomodoro Technique. Set a timer for 25 minutes, and get to work. After 25 minutes, you’re allowed a five minute break. After four completed cycles, give yourself a longer break, from 15 to 30 minutes. Now, does it have to be 25 minutes? No—of course not. You can tailor the exercise to fit your needs. However, the idea of a timed work session, followed by a break and a small reward—such as a snack, a latte, or a quick social media check—can help you stay focused. And, before you know it, the workday is over—and look how productive you’ve been! Goodbye, procrastination. We can’t say we’re sorry to see you go.